Gilder Tip, No. 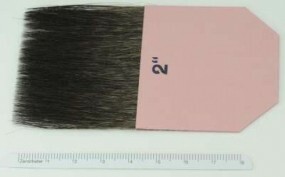 4½ inch | Gilding Brushes | Various Special Brushes | Brushes | Kremer Pigments Inc.
(Sciurus vulgaris). Bound in cardboard. Customer evaluation for "Gilder Tip, No. 4½ inch"